Hollywood comes to Westchester County! “We had such a great turn out, and everyone loved Ian Ziering,” said LV2BFIT owner Patty Palmieri. 90210 Star Ian Ziering hosted an exclusive anti aging event at Fashion Fitness boutique LV2BFIT in Rye Brook, NY on March 21. Over 75 women attended the event. Ziering shared his anti aging tips and mingled with guests from Westchester and Greenwich. 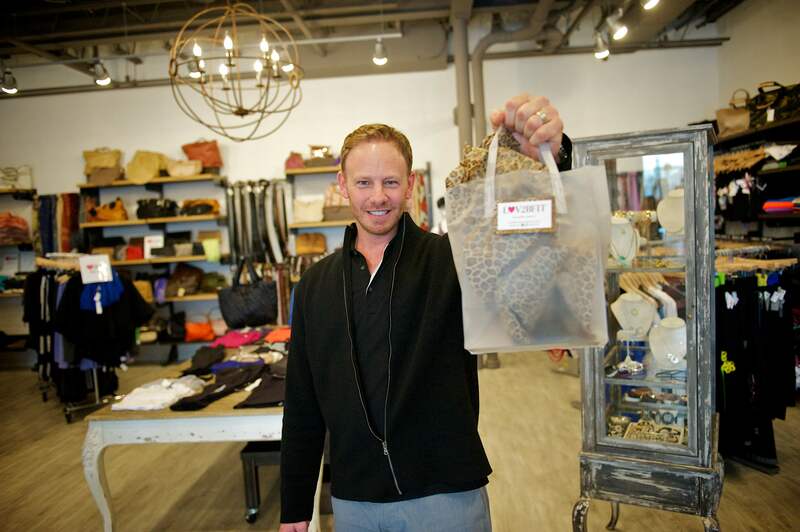 Ziering shopped at LV2BFIT and walked out with a pair of earrings for his wife Erin. “We had such a great turn out, and everyone loved Ian Ziering,” said LV2BFIT owner Patty Palmieri. “We will definitely do another event with Ian again soon!” LV2BFIT opened in Rye Brook in October and has been called the destination store for fashion and fitness attire in Westchester & Fairfield.